"There is a cave, boy... a cave... of wonders!" While we've learned who the seven playable characters are previously, this latest trailer gives us a better picture of the kinds of people we'll be dealing with here. Albeit, each has their own little Double Fine/Ron Gilbert twist. 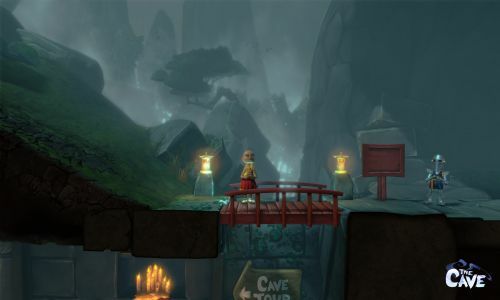 The Cave still has a release date of January 2013 and hopefully we'll be getting a firmer release date (and maybe some more info about co-op) when the next character trailer hits. Page created in 0.6964 seconds.